When it comes to marketing these days, direct-mail is not always at the top of the “best of” lists. That’s because some people consider this type of advertising to be irrelevant. While it is true that less people are sending mail these days and a lot of people are turning to email instead, that doesn’t mean that direct-mail is ineffective. Let’s take a look at exactly what direct-mail advertising is and how you can use it to grow your business. 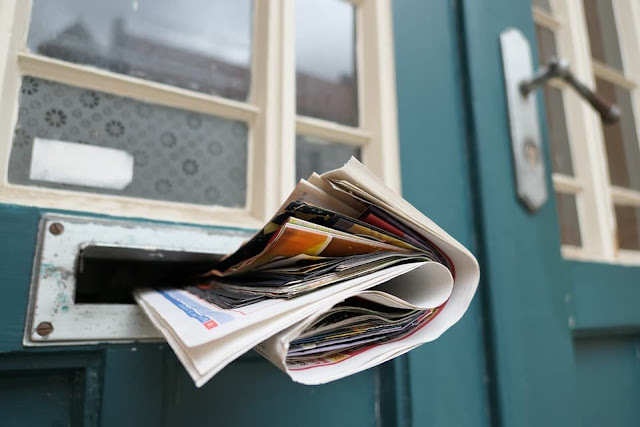 Direct-mail marketing is a method of marketing that uses the Postal Service to send out advertisements to people at their homes or businesses. Just stop by your local facility, like this Montgomery post office for more information about their direct mail services. Direct-mail can be an extremely effective form of advertising if it is done correctly. For many products and services, getting information in someone’s hands physically can increase conversion rates and get their attention in a way that other methods cannot. Direct-mail is not as popular as it once was, but it is still a great way to advertise your business. Do People Still Read Physical Mail? People absolutely still read their physical mail. In fact, since less mail is being sent out these days, and less people are using direct mail advertising, direct-mail may be even more effective than other forms of advertising and cost about the same as it did a few years or decades ago. The trick with direct-mail advertising is to design something that people are going to want to read. If you can create a visual advertisement that will make people take notice when it arrives in their mailbox, then you have a good chance of convincing them to try your product or service. So, how can direct-mail help your business? One of the reasons that direct-mail is so successful is that is able to target a specific geographical area where your customers may be located. For example, a company that is in a certain part of the city may be able to send out direct-mail advertisements to anyone in their vicinity that may be in need of their services. Pizza chains will often send out advertisements if they have a franchise location in that area through direct-mail advertising. In order to get started with direct-mail advertising, you’re going to need some sort of product or service to sell that will appeal to those receiving the advertisement. If you are selling something that people cannot follow-up on immediately after receiving the direct-mail, it may not be as effective. But the great thing about direct-mail advertisements is that people often save them if they find them valuable. Going back to the pizza chain example, people often save these advertisements because they contain coupons that may be useful the next time the order pizza. Think about your product or service and how you can do the same thing to use direct-mail to its full potential. The bottom line is that you should talk to a direct mail expert if you want to find out more about direct- mail advertising. A direct-mail expert can help you determine whether your business is going to benefit from direct-mail marketing, help you design an advertisement that will work for direct-mail and then talk to you about your options as far as what areas you want to target or what sort of household you want your advertisement to go to, as well as pricing and full-service options such as designing and mailing the advertisement so that all you have to do is take care of customers when they respond. I hope you enjoyed this article about what direct mail advertising is and how it can help your business marketing. Interested in more articles about building your business brand? - It's Not Who You Know, It's Who Knows You!